Procter & Gamble (P&G) wishes to raise awareness about ocean plastic & what can be done to prevent plastic waste from reaching the ocean. To achieve this objective P&G have introduced Fairy Ocean Plastic pack made entirely from post-consumer recycled (PCR) plastic & ocean plastic. The Fairy pack will be made from 10% Ocean plastic, collected from the ocean & beaches around the world, and 90% post-consumer recycled plastic. P&G believes that its customer care deeply about this issue & desire to use Fairy to raise awareness about the plight of our ocean & raise awareness about the importance of recycling. 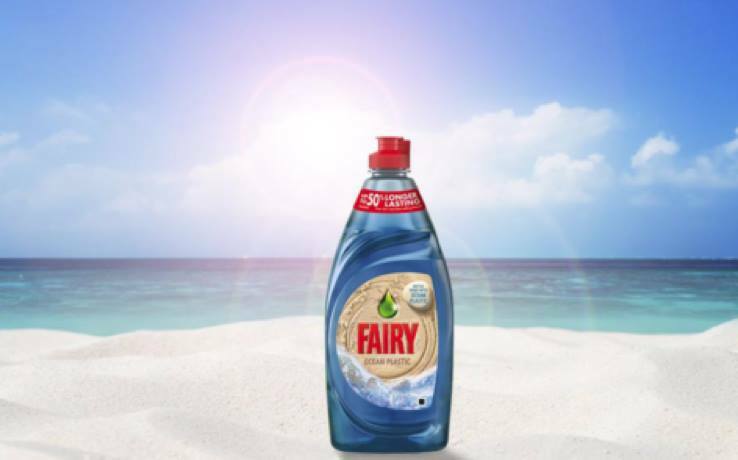 Bottom-line: Fairy Ocean Plastic-bottle is a good example of a company perusing ‘circular’ innovation.